Work in the kitchen, open a restaurant, or have your own catering business with a degree in culinary arts. The craft of preparing, cooking, and presenting meals is a perfect career for someone who loves to work with food. There are many different types of culinary roles and industries to choose from, each with their own educational path and requirements. Find a local culinary arts school. If you’re looking to launch a career in the food industry, then you will want to choose to enroll in a culinary arts degree program. Culinary arts programs help students learn how to cook and present food. Instructors will teach you about various ingredients, sanitation, and food planning and preparation. The programs will also prepare you for management and food service positions. You’ll most likely be required to complete an internship or apprenticeship to gain hands-on training. Culinary schools offer bachelor’s degrees, associate degrees, and certificate options. While bachelor’s degrees are the most expensive option, they also provide you with additional experience and prestige. Bachelor degree programs typically cost $11,000 per year, while associate degree programs typically average $3,500 annually. Certificate programs can range anywhere from $1,000 to $12,000 in total. And those fancy culinary schools can cost upwards of $100K for four years. You know that person barking orders loudly at everyone in the restaurant’s kitchen? That’s the chef, as well as a stereotype based on how they are portrayed on reality television. In real life, the chef is the one heading up the kitchen, managing staff, and making some big decisions for the restaurant. Days can be long, and your duties will differ depending on which kitchen or restaurant you’re in. The maintenance of a kitchen and those employed in it requires a firm hand of control and a knowledge of each dish and ingredient. A head chef—also called an executive chef in some kitchens—has such skills. It is your responsibility to supervise the staff and make the administrative decisions for a restaurant. It’s an intensive career, and you’ll typically work 12-hour days while you focus on the overall conception of each meal, as well as the powerful flavors a guest will savor. Chefs’ work environments can range widely—from bed and breakfasts and cruise lines to hotels, restaurants, and country clubs. Because the establishments can be so different, days on the job will seem equally as different. In general, though, you are involved in all aspects of the kitchen and required to perform a variety of tasks throughout the workday. Design the layout of each item on a plate. Keep the kitchen’s innovation flowing. Make sure every team member—sous chefs, cooks, sauciers, rotisseries poissonnier, etc.—are executing their job properly and efficiently. Usually, executive chefs head a very large staff, say, at a resort with multiple restaurants plus room service and banquet halls. In this case, the role is more managerial than cooking-focused. In smaller arrangements, those with the title “executive chef” help any area of the kitchen that may have fallen behind during a dinner rush and with more advanced preparation dishes. To keeping a consistent and quality food production going, executive chefs must maintain the order of the kitchen, keeping up-to-date on all sanitary and safety regulations and guidelines. Executive chefs may also be in charge of handling customer complaints, as well as scheduling staff. These tasks and more, like documenting kitchen supply costs, make the workday in the kitchen far from simple—but very exciting. A bachelor’s degree program at a university or culinary institute. Culinary institutes are generally a bit more pricey than the alternatives. Get field experience. You’ll need one to five years of kitchen work if you’re going to be considered for a head chef position. Get your certifications. These aren’t mandatory. However, they will give you that competitive edge in interviews. To be eligible for certification, you need to have a combo of education and experience. Then, you’ll complete written and hands-on portions of an exam. Renew your certifications. Most are good for three to five years. Head chefs make a median annual salary of $46K. This is strictly an approximation, but there are many factors that go into what YOUR salary will look like. Things like the type of restaurant, what city you’re in, and your experience all weigh into how much you’ll make. There are some chefs that earn over $100K, but they have many successful years under their toque blanche (traditional chef hat). The careers of chef and head cook are expected to grow 10 percent through 2026, according to bls.gov. This is a bit faster than the average for occupations. People are using their disposable income in restaurants more often, and new restaurants are popping up at astronomical rates. There is a strong need for chefs to create magnificent menus and feed the masses with delectable delights. If you’re looking for a 9-5 kind of job, then becoming a restaurant manager isn’t going to be for you. As the face behind the establishment, restaurant managers have to wear a bunch of different hats. You will need to make sure every aspect of the restaurant is running smoothly while simultaneously ensuring the patrons are pleased. Being a restaurant manager is a full-time position. You usually find employment with hotels, restaurants, catering, and even hospitals and offices. Restaurant managers are on their feet, running around all day. Physical strength and stamina are necessities to support this kind of job. Restaurant managers need to be excellent communicator with mad customer service skills. You don’t necessarily need to be a “yes” person, but you need the know-how to make the customer happy. Your leadership skills need to be on par with your organizational skills. Restaurant managers are large and in charge; you need to be able to know how to handle all the responsibility that comes with that power. Most restaurant managers have a high school diploma combined with many levels and years of restaurant experience. However, as the job market gets more competitive, hiring managers are looking for applicants with either an associate or a bachelor’s degree in restaurant and hospitality management. Most commonly, career training happens through on-the-job experience. You may start out working in the kitchen or as part of the waitstaff. This way, you’ll learn in depth about the business, from every part of the staff’s perspective. Having this wide lens helps you understand everyone’s point of view once you’re in charge. There are no certification requirements specific to the position of a restaurant manager, but some restaurants, as well as some states, may require their restaurant managers to receive the Food Protection Manager Certification from the American National Standards Institute, and the Foodservice Management Professional designation, which is given by the National Restaurant Association Education Foundation. The Bureau of Labor Statistics reports the median annual wage for restaurant managers is $52K. The lowest 10 percent, usually entry-level employees, earned an average of $30K, while the top 10 percent made more than $90K. Employment for restaurant managers is expected to grow around 9 percent through 2026, which is just slightly above average compared to all other occupations. As new restaurants pop up all over, along with the increase in customer demands, employment opportunities for qualified restaurant managers will remain healthy. Food writers travel to various restaurants and indulge in a myriad of meals. Now, whether those foods are worth venturing out on the town for is a different story. For this reason, food writers, also known as food critics, specialize in writing reviews and critical essays about certain restaurants and bars—specifically on the food, drinks, and all-around service—for magazines, newspapers, and other publications. Many people, when they want to check out a new restaurant but aren’t sure of the quality, will look to your blog or column for the answers. Most food critics work freelance. Each day is not the same, and some days may entail less work than others. You have the ability to make the day (and often, the night) your own. Traveling from one restaurant opening to the next, food writers have the opportunity to try a wide variety of dishes while doing what any restaurant-goer does best—judging. Whether it be the smell of the bolognese, the bitter bite of the lemon zest, or the overall presentation of a dish, food writers understand the efforts and techniques needed to create a successful and appetizing meal. Once you have visited the desired destination and gathered enough information to write a review, the rest of the time spent will usually be in front of a computer screen, perfecting the article for publishing. Reviews tend to vary, from “memorable experience with fantastic food” to “awkward and questionable combinations.” As a food writer, it is necessary to be able to handle clients: They may not be pleased with a review about their establishment if it was less than glowing! Earn your bachelor’s degree in English, journalism, or communications. Minor in culinary arts so you can have a well-rounded knowledge of food, from composition to techniques. Work experience such as a writing internship, writing for a magazine, newspaper, blog, or other outlet is important to have. Experiment with foods by trying every single type you can. Start networking with others in the food industry. Join a professional organization: Association of Food Journalists and the Society of Professional Journalists are good starting points. Some food writers start their own publications, such as a food blog or by authoring books. The more exposure a food writer has, the more job opportunities clients will present them with; some are paid to travel countries to taste new foods and express the connection people of the world have through food. If you’re a food critic who has been writing for 20 years, you’ll probably make a lot more than a food writer who is just starting out. Food critics earn a median salary of $88K and can even reach the $100Ks. But when your food writing career is just blossoming, you may earn an average of $12,000 or less. The good news is that the more experience you get and the bigger audience you attract, the more your pay will go up. From corporate holiday parties to wedding receptions, catering plays a large role in event planning. The catering business has two important aspects to it: the coordinator, who oversees the staff, and the catering crew, who plans, prepares, and serves the food. Catering coordinators and staff keep the client’s specifications in mind and establish the tone of an event with mouthwatering dishes. Caterers work in a multitude of different venues for a variety of events, such as wedding receptions, charity events, brunch specials, holiday parties, and office functions. You’ll have a set of responsibilities at each event, from setup and serving to takedown. Expect to keep a flexible schedule and early/late work hours while you do your part to make events perfect. Rely on the other catering coordinators and staff—working together as a team is crucial for a catering job to be successful! You really don’t need any formal education if you want to be a caterer. However, there are some things you should do so that you have the right skills and credentials to work as one. You may want to consider getting an associate degree in either professional catering or culinary arts. 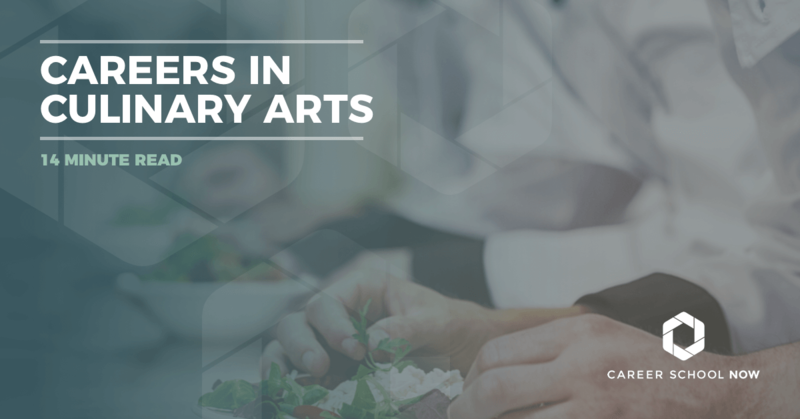 By earning an associate degree, you will learn the culinary techniques required to perform the job, as well as gain business and event planning skills. The more experience you can get, the more job prospects will be presented. In school, hands-on experience will be provided in addition to classroom material, and you will come across internship opportunities. Get certified in food safety through your local department of health or through a community college. Apply for and get all the appropriate licensing your state requires for caterers. Network. You can reach out to beauty salons who specialize in weddings, introduce yourself to wedding and event planners, and build relationships with local event halls. Because there are so many freelance caterers, it’s hard to determine an exact annual salary. There is a large range reported, between $32K and $82K. Your salary will depend on where you work, the size of your company, and what city you’re in. Maybe you’ll be lucky and get huge contracts with event halls where you cater for weddings or conferences. Regardless, be prepared and ready for slow seasons. Give easy-to-follow advice and help clients manage their situation through what they eat: Dietitians are trained, registered experts in food and nutrition who educate people on what is and isn’t healthy for their particular lifestyle or health condition. Work in a school, nursing home, hospital, or even for yourself. Additionally, you’re going to need to stay current on anything new in nutritional research, plus keep a log of your patient progress for future reference. If you’re self-employed or have another day job, it is crucial for you to set aside time to prepare information and appointments for clients. Dietitians can specialize in their work. Each job is similar, but you can still concentrate as one of three main types. You can also narrow your scope of work within a specialty and simply develop programs for clients or perhaps work only in more hands-on situations. Clinical dietitians are professionals who work in hospitals, doctors’ offices, nursing homes, and other similar places. Clinical dietitians provide medical nutrition therapy. You are responsible for creating nutritional plans for patients and residents to deal with certain health needs, such as kidney disease or diabetes. Typically, your patients are not capable of creating a healthy lifestyle plan for themselves, so you counsel them on how to make such changes. Community dietitians are individuals who educate the public about food and nutrition. You’ll target your knowledge toward groups, like adolescents or the elderly, in hopes of inspiring them into changing their dietary habits. You’ll work in public health clinics, nonprofit agencies, and health maintenance organizations. Management dietitians are responsible for planning meal programs—the food schools serve for lunches, the meals prisoners eat, and the menu placed within a hospital for patients are all created by someone like you. You may oversee kitchen staff or other dietitians while on the job, but it is your sole purpose to create a functioning meal plan for specific corporations. At a minimum, you’ll need a bachelor’s degree in dietetics and/or nutrition. During the four-year education program, you’ll have the option to complete what is known as a coordinated program or a didactic program. Each of these programs provides classroom work that covers areas such as chemistry, sociology, food and nutrition sciences, physiology and anatomy, pediatric nutrition, economics, and more. When entering a coordinated program in dietetics, a required internship will be included within the course. In the didactic program, the internship will be excluded and is the responsibility of the student upon graduation. After completion of a nutrition or dietetics degree, you can earn the Certified Nutrition Specialist (CNS) credential. However, to qualify for the CNS exam, you must have a master’s degree or doctorate, as well as 1,000 hours of experience. For those who have only completed a bachelor’s degree in dietetics, pass the Registered Dietitian Nutritionist (RDN) Examination instead. Other credentials and examinations may be required in order to become a certified dietitian, depending on state. You can expect to make an annual median salary of $59K. Your pay will be impacted by where you live, where you work, your specialty, and your experience. When you’ve established yourself in your career, you can expect your salary to go up to more than $83K. The most profitable industries to work in are outpatient care centers, hospitals, and nursing and residential care facilities. Our nation is in an obesity crisis, with more than ⅓ of all adults being considered obese. Because weight can be controlled by diet, many people will be seeking out the help of a dietician or nutritionist. This means an increase of employment will be 14 percent through 2026, which is faster than the average of other occupations. There are many pros and cons that accompany attending school online. Online schools are ideal if you’re looking for a flexible schedule. Learn, study, and progress at your own speed. Not only is tuition for online programs often cheaper than traditional institutions, but also the total cost is reduced even further by not having to commute. While some online institutes offer programs in culinary arts, it can be difficult to find a program that incorporates practical experience. Online culinary schools must take an alternative approach to the traditional “hands-on” experience. Some schools will offer live demonstrations using webcams; others will allow you to combine online work with a personal tutor. All schools will recommend or require you find an internship that will allow you to practice under the supervision of an experienced chef. Students should look for programs that are accredited by the American Culinary Federation Education Foundation Accrediting Commission (ACFEFAC). ACFEFAC assures that all programs are meeting a minimum of standards and competencies set for faculty, curriculum, and student services.